5350 Blue Bird Lane, York, SC 29745 (#3414363) :: Robert Greene Real Estate, Inc. Welcome to Cedar Lodge. 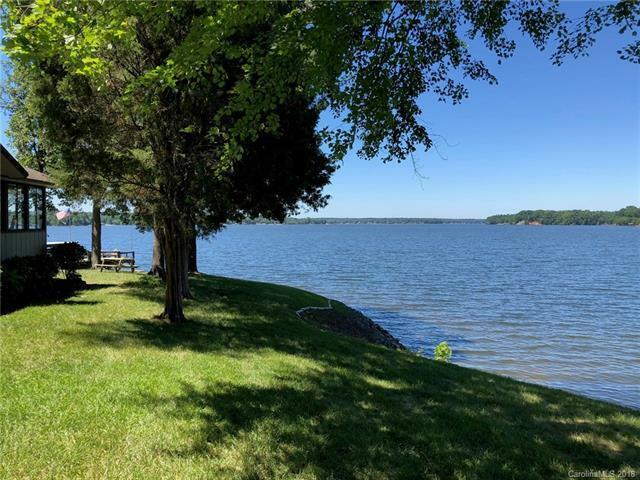 This one of a kind property possibly the best property on the Lake has unlimited breathtaking views, over 1.9 acres and 400+ feet of waterfront including 2 sandy beaches. This classic Lake Home and adjacent Bunk House are the ultimate in privacy, 26*16 Glassed in porch puts you right in the water with spectacular scenery. Property has 300'+- of road frontage. Bunk House has 1 Bedroom and one bath. Large Garage workshop measures 24*30. Offered by Lake Wylie Realty. Copyright 2019 Carolina Multiple Listing Services. All rights reserved.